Home Basketball Doncic's options of being a holder: what weight did the popular vote have in the last two years? Doncic's options of being a holder: what weight did the popular vote have in the last two years? Since the 2017 edition, the fans vote, which now has the Slovenian second in the Western conference, only counts 50%. The irruption of Doncic in the NBA has been of a magnitude rarely seen and the best example are the votes for the All Star. A list that does not stop being the particular opinion of the fans and that often shows results that do not fit what you see on the court during the season. But that is an infallible thermometer to measure the popularity of a player. And Doncic is rolling the screen before anyone. That a rookie is the third most voted player in the entire league is an impressive achievement. His 3,301,825 votes leave him, for example, closer to LeBron (the most voted of the western froncourt) than to Paul George, his immediate persecutor. In addition, people have been adding to their cause. He went from seventh place in the first wave to fourth in the second and third place today. But this does not ensure anything at all a place as a starter in the All Star. Since the 2017 edition the selection rules were changed. The holders were no longer the most voted by the public in each position. Since then, the popular vote only counts 50%. The other half is shared by players (25%) and journalists (25%). Therefore, Doncic is the second most voted player in his position, as it seems that will end next Monday, at which time the voting closes, is not final. It's a good start, but if the other half does not get enough votes could fall from the starting quintet. Y would not be the first time. In these last two years there have been five cases in which a titular player for the public ended up being left out by the vote of players and journalists. Last year was, on the one hand, Draymond Green, who was second in the popular vote (1,135,478), finished fourth in the final count, seeing how he was advanced by Anthony Davis and DeMarcus Cousins, third and fourth for the public, respectively . What happened to Green is that, despite being second to the fans, the press voted him sixth and the players seventh. When doing the average of his positions was when he fell to fourth place. The other case was seen in the backcourt with Manu Ginobili. The Argentine, before the possibility that it was his last season like professional, received a cataract of votes that made him be second with 1,808,860, only behind Stephen Curry. But once again, that second position of the public was transformed into the fourth total, since the press placed him in seventh place and the players in the eighth. Draymond Green did end up going as a substitute. It was not so lucky Ginóbili, who was left without participating in the match of the stars. For the selection of the substitutes the number of votes does not have any value, since it is a proper election of the trainers. If Doncic managed to be a starter, he would be the youngest in history. In case of being a substitute, he would only have Kobe Bryant ahead in this section, although he would be the youngest European and Rookie to be in an All Star Game. In the 2017 edition, the first with this model of selection, a similar case was experienced in the East. On the one hand, Joel Embiid was the third most voted player in the frontcourt, but between the players (8th) and the press (5th), he finished in fourth place. The same happened with Dwyane Wade in the backcourt. From being second in the popular vote to fourth in the total by the press and the players (both placed him in sixth place). And in the West the great motivator of the change of selection of the players the previous year: Zaza Pachulia. In 2016 he was a few thousand votes away from being a starter in the All Star. This time it was the other 50% who left him without the All-Star Game. He finished sixth in his position, despite being the second favorite of the public. Y that same 2017 there was another curious circumstance. In the backcourt of the West there was a triple tie when recounting votes from the public, players and the press. The average position of Curry, Harden and Westbrook was the same . Therefore, it was necessary to break the tie. And in this case, yes, the popular vote has a major importance. It is the key to tie . In this case Westbrook was the one who received the least (1,575,865), for the 1,771,375 of Harden and the 1,848,121 of Curry, the favorite of the fans. Therefore, that Doncic is the second most voted can be key in case he ends up tying with players who, a priori, could have the favor of his colleagues and the press more than him, such as Kevin Durant, Anthony Davis or Nikola Jokic . 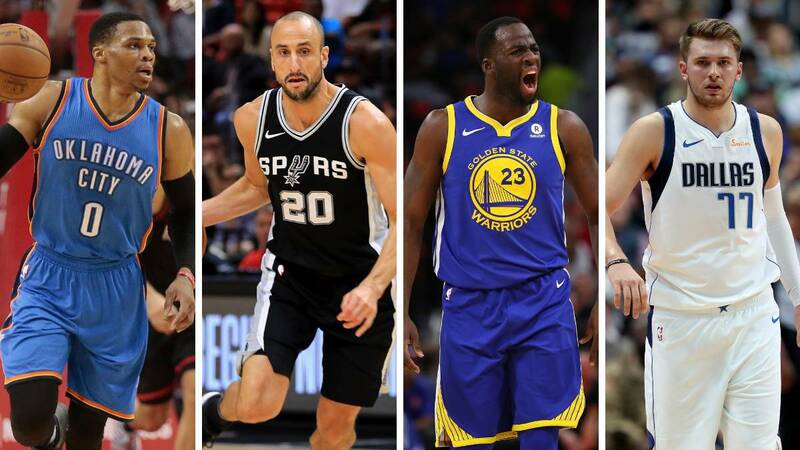 With the data in hand five of the 20 players that were going to be holders thanks to the popular vote the last two years were left out of the quintet, three in 2017 and two in 2018. Of all of them only Draymond Green last year finishedparticipating from the bench. The final result will be known next Thursday, the 24th, when the NBA announces the two titular quintets. The following Monday, day 28, will be the turn of the substitutes. And as it is the thing every time it seems more difficult that the Slovenian name does not appear one of those two days.